If you've ever attempted to make a cheese platter, you know it's harder than it looks. The anxiety starts from picking the right cheeses to running through the grocery aisles as you search for the perfect condiments, and then you get home only to realize that you don't even own a pretty cheese board (let alone cheese knives). Next thing you know, you went way overboard, and this whole affair has cost you $500. Luckily, there's a simpler way, and it involves knowing your way around a cheese shop (or counter), knowing the right ingredients to pair with your cheeses, and having the right serveware to whip up a cheese board in an instant. To shed some light on the world of cheese board arrangements, we asked a Brooklyn native (who also happens to be a cheesemonger's daughter), Claire Matern, to give us the rundown on creating a delicious and 'grammable cheese board. Growing up with a cheese expert (her dad) taught her everything she needed to know about cheese—but it's her background in fashion that made her excel in creating the perfect arrangement. Get ready to create your ultimate summer cheese board—we even included Matern's handy shopping list at the bottom. Picking the right assortment of cheeses is at the heart of making the ultimate cheese board. Sure, it has to look pretty, but it has to taste great as well. To get the right mix, make sure to create variation between the firmness (from soft to hard), the taste (from mild to sharp), and the type of milk of each cheese (cow, sheep, goat). Claire Matern's top five? Elderflower tomme, a semi-soft French cow's milk with elderflower blossoms. It's lightly floral and a perfect summertime flavor. A cheddar. It's a classic crowd-pleaser, and it balances out a cheese board. One of my favorites is Montgomery's, an English cheddar, and I love it in the summer so I can pretend I'm summering in the English countryside and sipping Pimm's. It's mature and crumbly, and it goes really well with fruit chutneys. But find a cheddar as mild or sharp as you like. A blue. One of my favorites is a French one called Fourme D'Ambert because it's not too overpowering, but it adds some funkiness to the board, and it goes really well with fresh summertime fruit like berries and figs. A fresh goat's log. A soft, fresh cheese that's perfect for spreading, it works particularly well on a summer cheese board because you can pair many different seasonal fruit preserves or compotes with it. Slightly obscure but a great addition to a summer cheese board is a Swiss cow's milk cheese called Nachtwächter, which translates to "night watchman." Washed with red wine, it picks up that flavor as it ages. 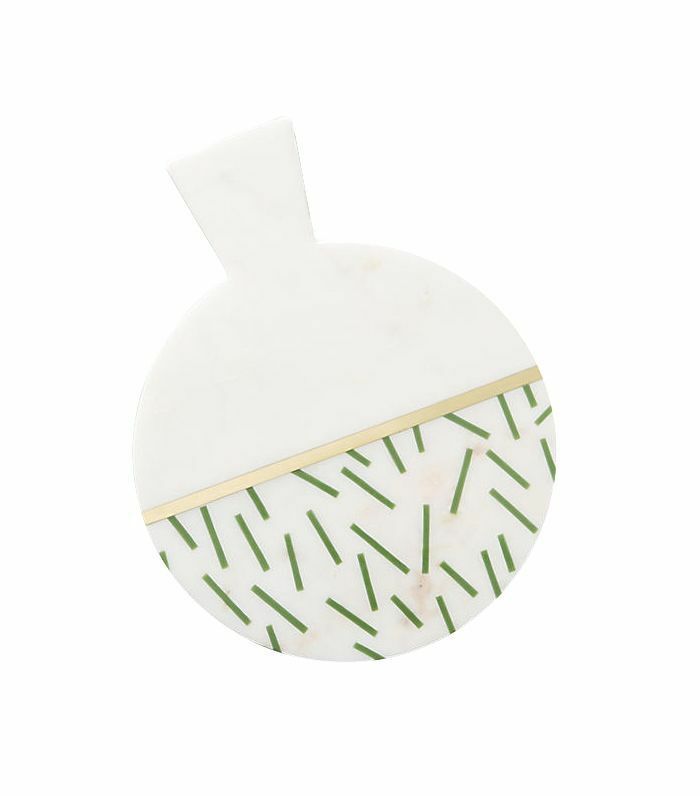 Named after a villager who made sure everyone got home safely after one too many drinks, it's the perfect "cheesy" pun for the season, when we all like to indulge on one too many glasses of wine (in my case, rosé!). But don't stress if you can't find it. A nutty, semi-soft Swiss cheese like Gruyère would be just as delicious. 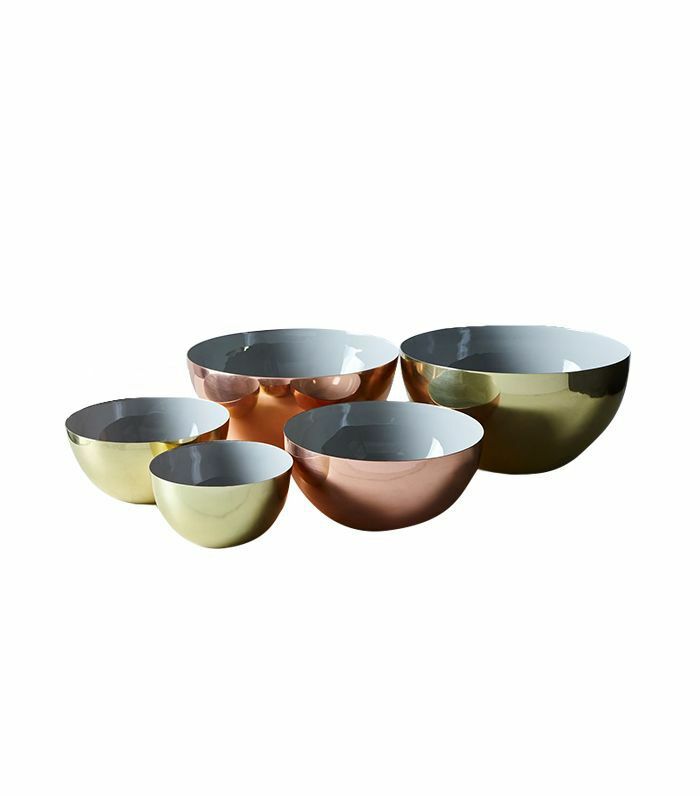 Having the right serveware for your cheese board is almost just as important as having the right cheeses. "Have some nice boards of different sizes," Matern says. 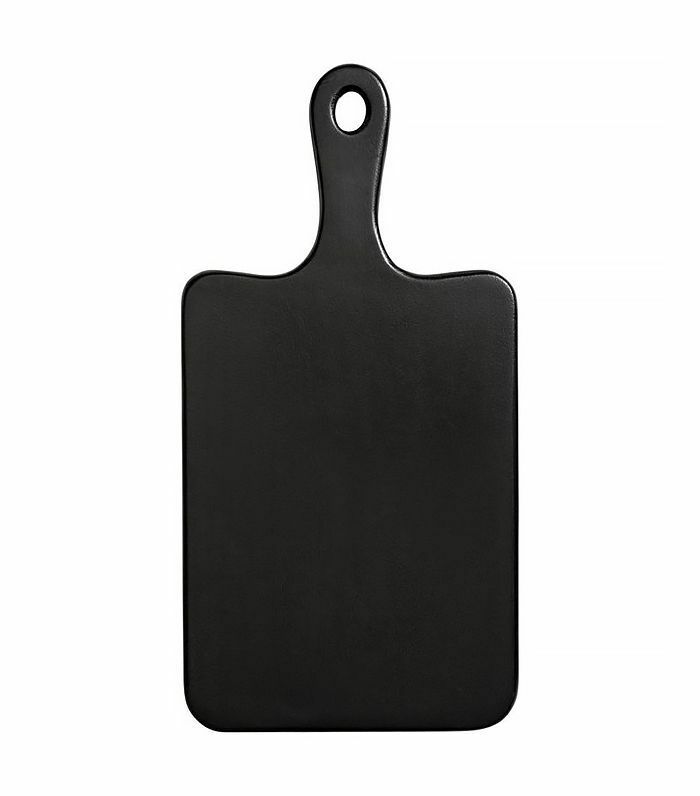 "Slate is nice, but I prefer to use wooden cutting boards." 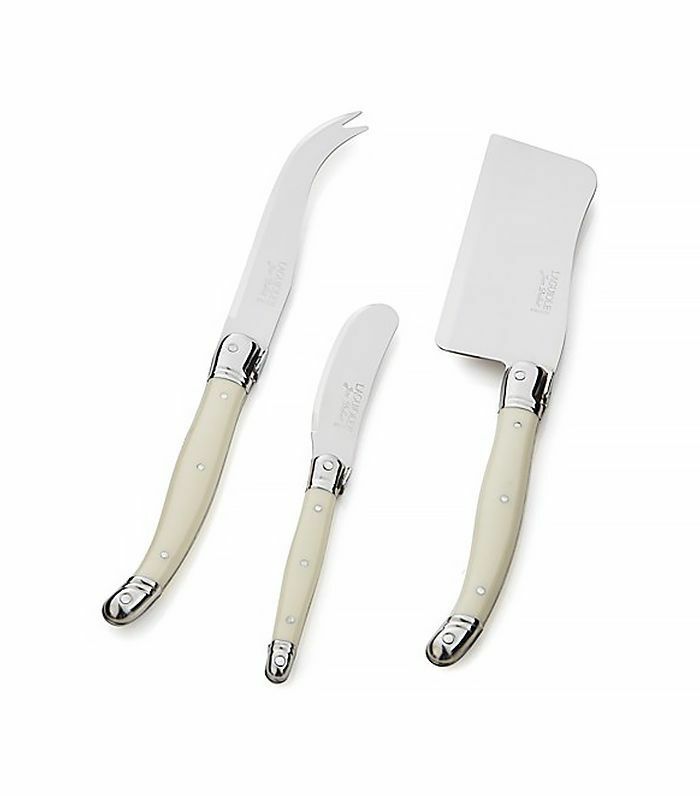 You should also have a selection of cheese knives: "A sharper one for the harder cheeses and a small knife or one that's better for spreading the softer cheeses. 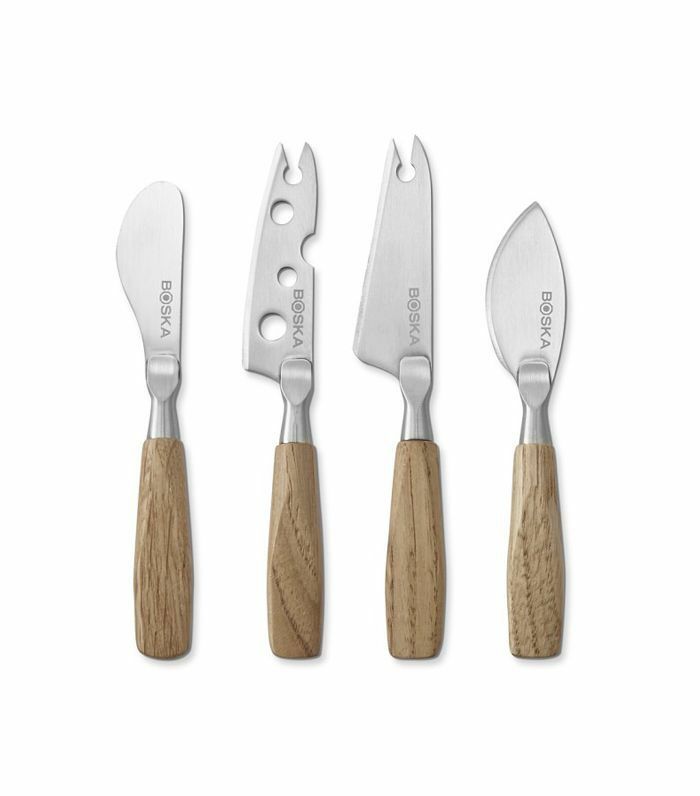 Having a few knives on the board also ensures that the cheeses don't get mixed by one knife cutting into all of them," she adds. Finally, make sure you have the right serveware to hold your condiments and compotes. Matern's recommendations? 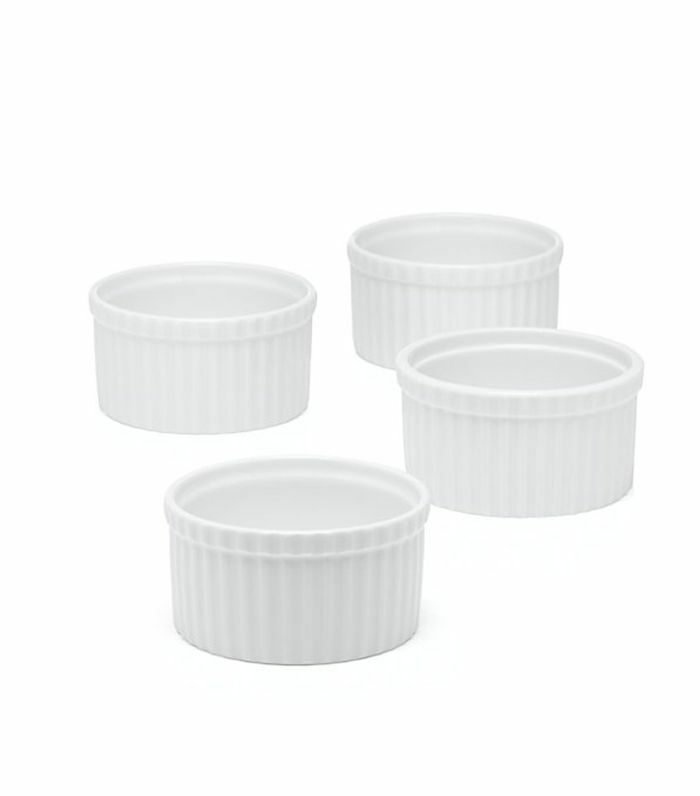 "Cute ramekins or small bowls to hold a fruit preserve or compote," she shares. "This is where your personality can come out, as well as tapping into the fun colors of the summer season. And some cute small spoons for any chutneys or compotes you plan on serving." Having condiments and compotes to complement your cheeses is nice in theory, but it can feel a little intimidating when you've never paired fruits and preserves with cheeses. "In the summer, you can't go wrong with fruit," says Matern. "With the fresh goat log, you can serve a strawberry, mixed berry, or cherry preserve or compote. Fresh figs, grapes, berries, and apricots add amazing color and sweetness to the board, which plays off the sharper flavors of the blue and mature cheddar. Have a balance of crunch with some nuts. A selection of crackers or thinly sliced baguette can go on the board as well." My number one tip is to turn the cheese toward the guest. Oftentimes, you see the wedge facing the middle of the board with the back rind to the person, which makes it more difficult to cut into and less inviting. Start by facing the wedges out, play on the different shapes, and try to ensure ones that are more similar in shape, size, or flavor are not next to each other on the board. If you are serving a chutney or compote for a certain cheese, make sure it's in a bowl that is close to the cheese you want people to experience it with. Place the fruit in the center of the board where it's most eye-catching. And now, this is the charcuterie platter—and how to make one at home.